The Z50-75 weighs just 2.2KG. The screen is a 1920x1080p glossy TN panel with really really bad color depth and reproduction. Simple put the blue channel is massively exaggerated on this screen this results in things that should be a pale green/yellow ending up light blue. 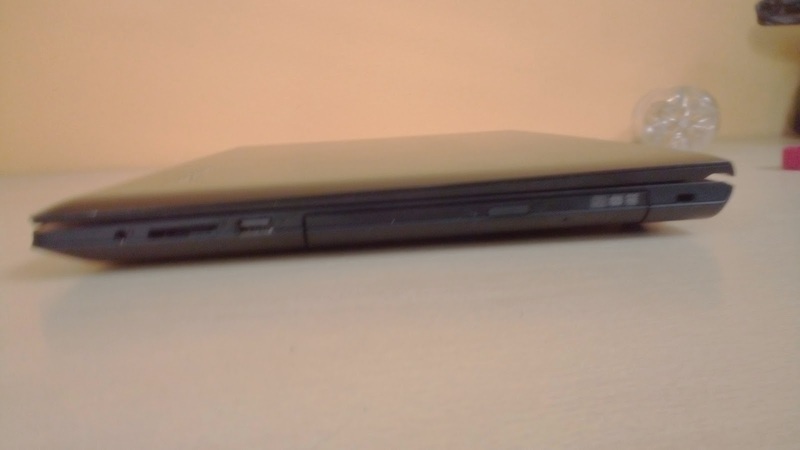 The screen is connected to the body with 2 thin but extremely stiff hinges. The battery is a small 4 cell 2650mAh. The left hand IO is composed of 1 USB 2.0, 1 USB 3.0, 1 HDMI out, 1 RJ45 port and a VGA port. 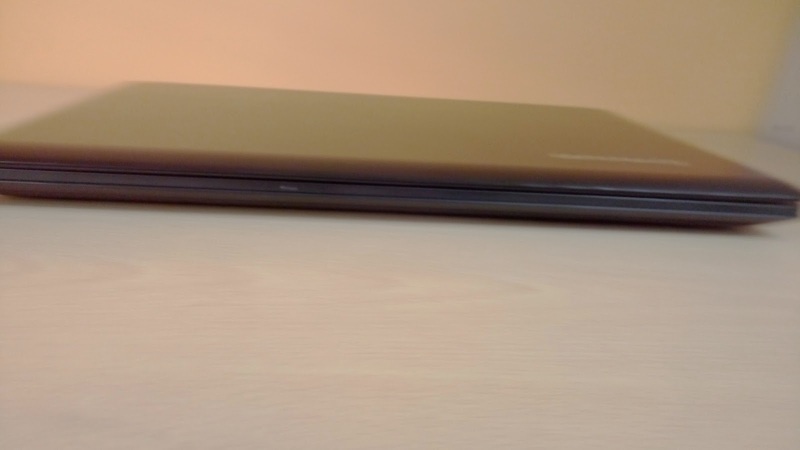 The right hand IO is 1 USB 2.0, full size SD card slot, 4 pole 3.5mm jack and an optical drive. 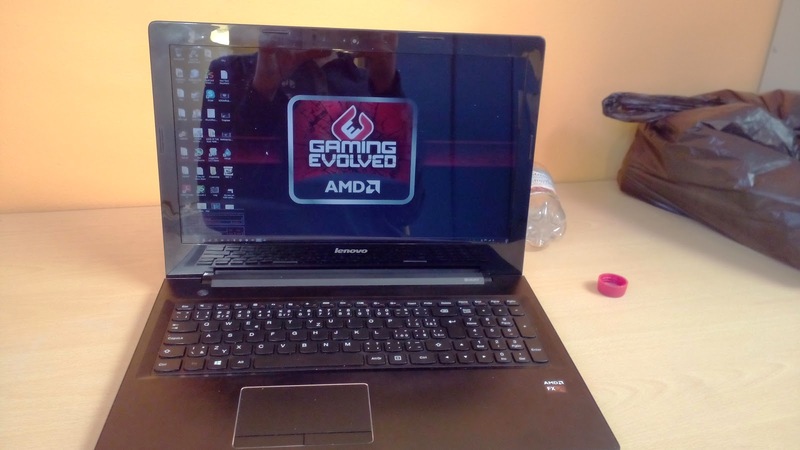 The CPU is a FX 7500 that runs 2.1Ghz stock and 2.8Ghz Turbo. The integrated GPU has 384 shaders and shares the CPU dual DDR3 dual channel memory connection so it does benefit from having 2 sticks of RAM. The dedicated GPU is an R7 M260 with 384 shaders cores and a 64bit bus hooked up to 2GB of 900mhz DDR3 VRAM. The keyboard is mostly OK being a scissor switch based design. 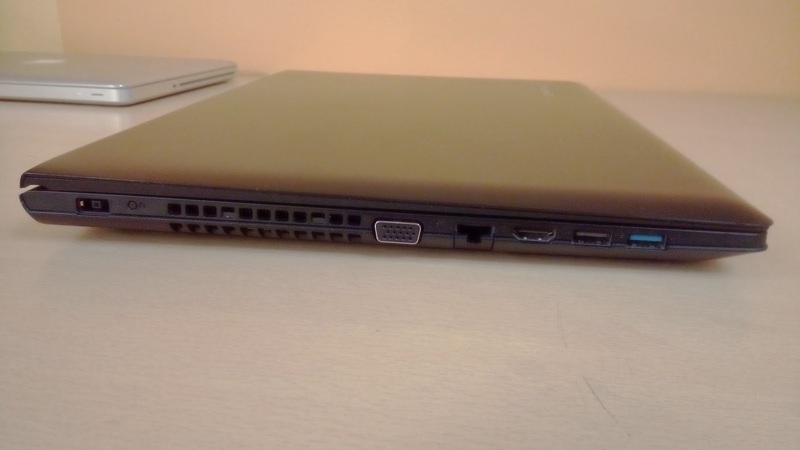 The only real problem is the mess that Lenovo made of the right hand side of the keyboard. 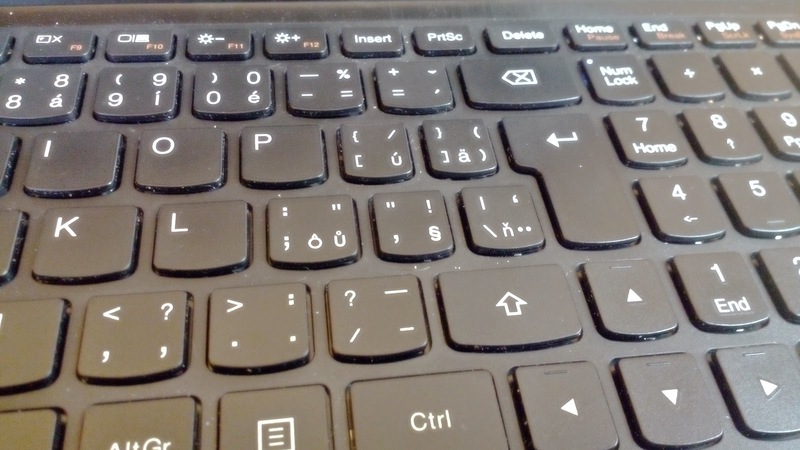 I'm OK with the shape of the enter key since my last laptop had the same. However the decision to cram the backslash between the quotation mark and enter key has made it really difficult for me to hit either of them since I'm not used to the position. 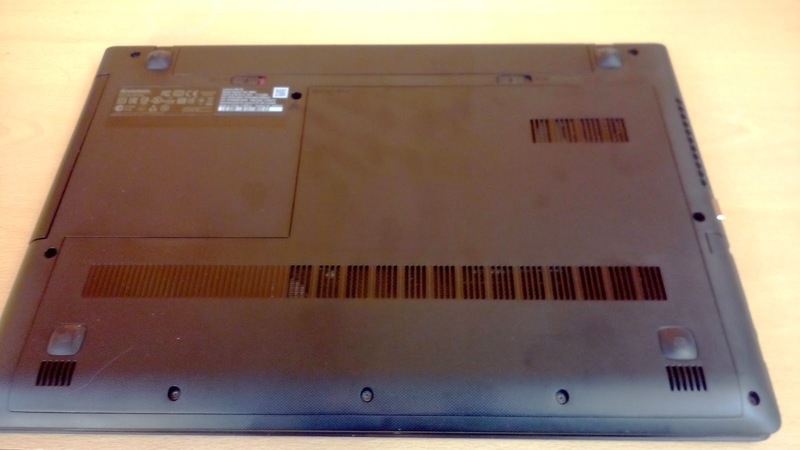 The bottom of the laptop is covered in holes for ventilation. The holes in the top right of this photo feed the single blower fan that cools the GPU and CPU. 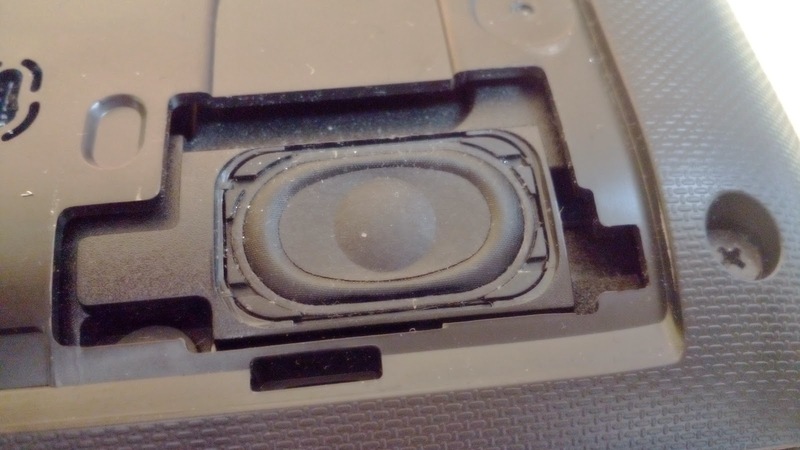 The bottom cover is attached with just 3 Philips screws. 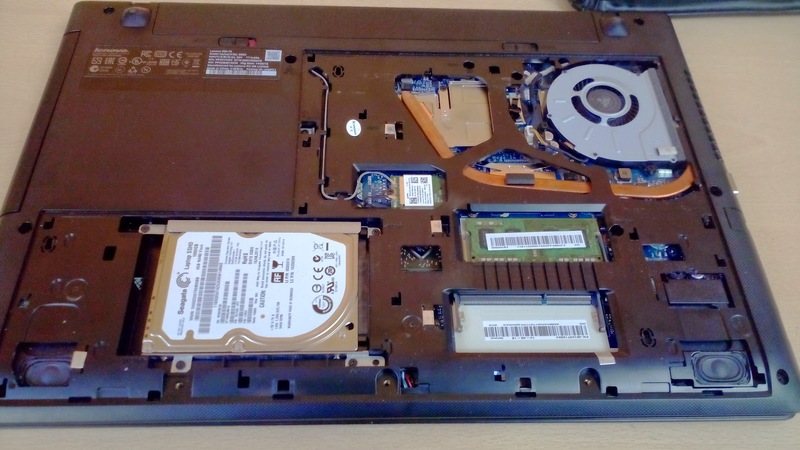 Swap out the HDD change the WiFi card(however Lenovo has a BIOS block on some WiFi cards) and swap out the RAM. My one came with 1 4GB stick because I bought the cheapest variation of the Z50-75 I could find. This wouldn't be AHOC if I didn't look at cooling. The cooler is composed of 1 blower fan 1 flattened heatpipe an aluminum fin array 2 copper contact plates for the GPU and CPU and an aluminum contact plate for the GPUs VRAM. 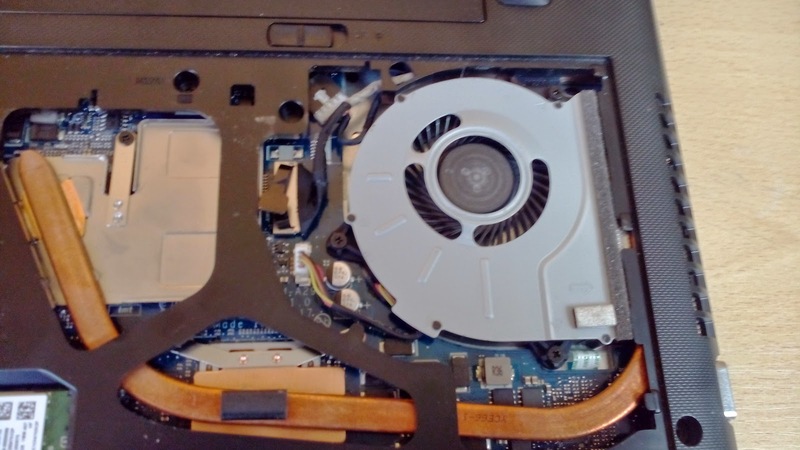 It keeps the CPU and GPU bellow 80C when gaming or doing CPU intensive tasks as long as the intake holes for the fan aren't blocked up. It operates between 35 and 47C° with light usage(interner+music+dogecoin wallet) on batter power. 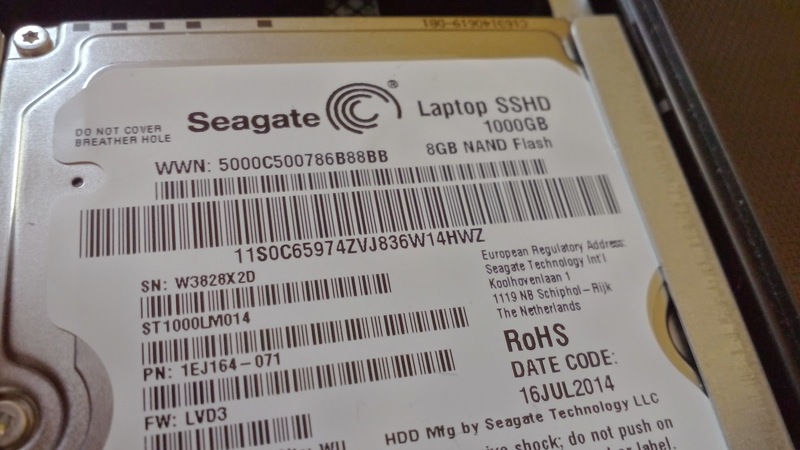 The default harddrive that the Z50-75 ships with is a 1TB Seagate SSHD that has 8GB of SSD cache. It has a rated power draw of 2.75W and is located directly below the right hand wrist rest and runs warmer than the top right corner of the keyboard where the heatsink is when idle and under load. speakers. They are tiny and bassless but can get very very loud. The 4 pole 3.5mm out sounds pretty good and can get painfully loud with my Steelseries Siberia V3s. 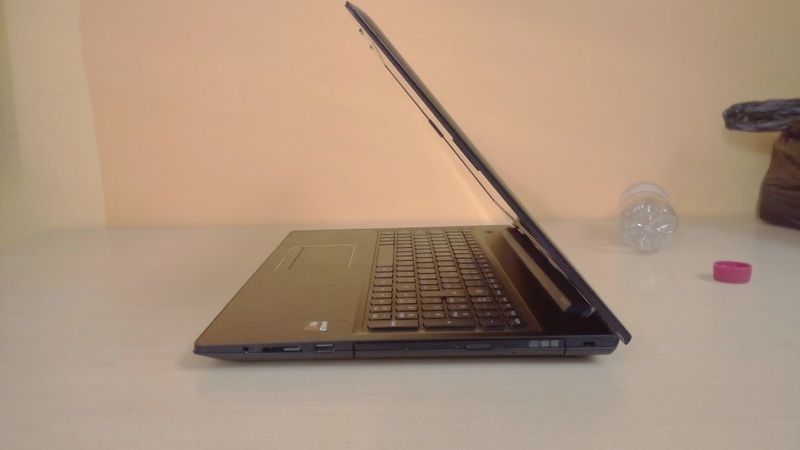 I decided that publishing 1 massive laptop review was pointless. 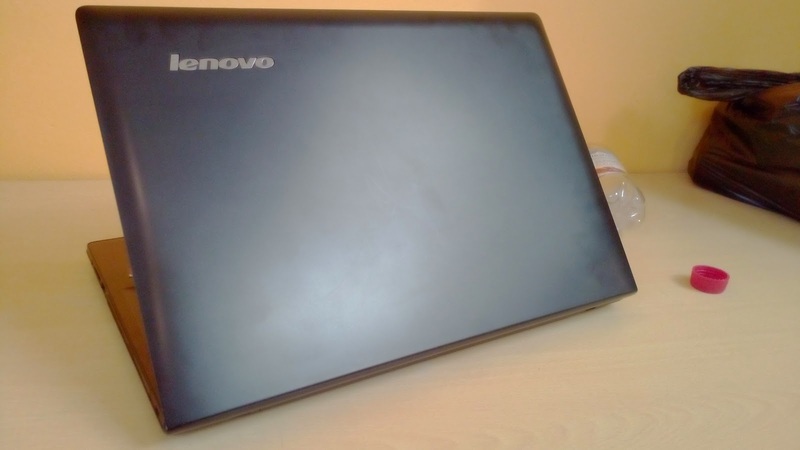 This is the objective part of my review once I get to performance and usage Lenovo will not be happy.